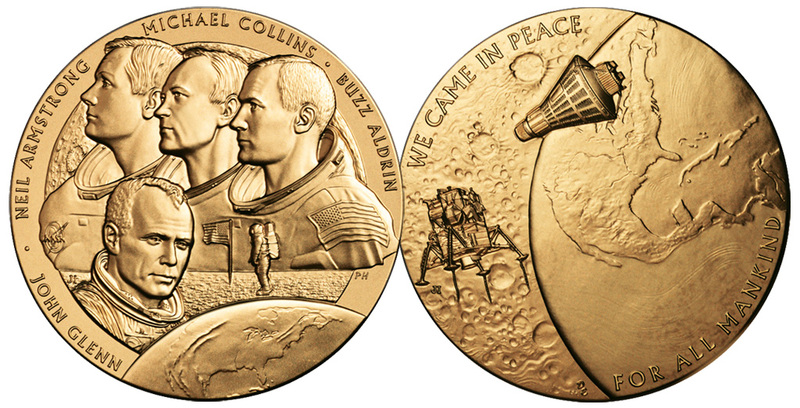 New Frontier Bronze Medal features the portraits of Apollo 11 astronauts Neil A. Armstrong, Michael Collins, and Edwin E. “Buzz” Aldrin Jr. facing left, and Friendship 7 astronaut John Herschel Glenn Jr. facing right. The reverse features the Apollo 11 LEM orbiting the moon and the Friendship 7 mission capsule orbiting Earth. Over the years, society has started labeling people heroes for doing something as minimal as their job. While some of these jobs require a heroic sense of self, like running into a burning building to save trapped people, they are really not heroes. We should remember that these people do an extraordinary and dangerous job and should be respected. But being a hero should have meaning, like doing something that nobody else could or would do. Heroism is climbing to the top of the Atlas LV-3B rocket, that was rushed to completion and whose tests did not exactly go as planned and launched into low Earth orbit trying to help the United States catch up in the space race. 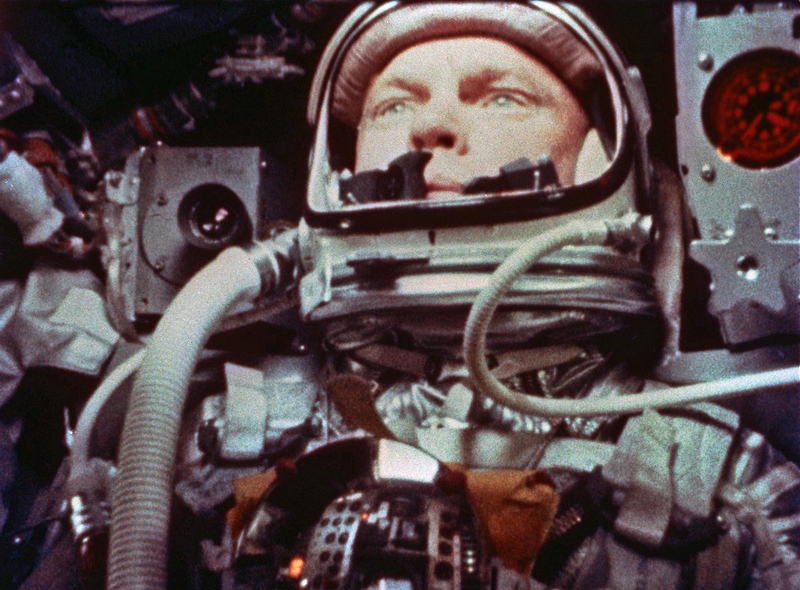 With the entire world watching and the next year after the Soviets made their own flight into orbit, John Herschel Glenn, Jr. rode Friendship 7 into history. COL Glenn had nothing to prove before being launched into space. He dropped out of college to enlist in the Army Air Corps in 1943 only to transfer to the Navy in 1944 in order to be a pilot. Glenn then flew for the Navy in World War II and Korea. After the Korean War, Glenn was stationed at the Patuxent Naval Air Station in southern Maryland to become a test pilot. Among his accomplishments was being the first pilot to break the sound barrier on a transcontinental flight and earning the Distinguished Flying Cross. But that was not enough for COL Glenn, he applied for the space program. Glenn was so humble that he said that he was the just the next one up. But subsequent stories came out later that with the push to have an American fly in Earth’s orbit quickly, the schedule was manipulated so that Glenn was the pilot of that mission. Some have accused Glenn of using his relationship with President Kennedy for that honor, but that was later disproven. It was his friendship with Kennedy that prevented Glenn from flying again. Kennedy was so afraid that this hero and friend would be killed, he ordered NASA to ground Glenn forever. When Glenn flew on Discovery (STS-95) in 1998, President Bill Clinton had to rescind Kennedy’s order that kept Glenn grounded. 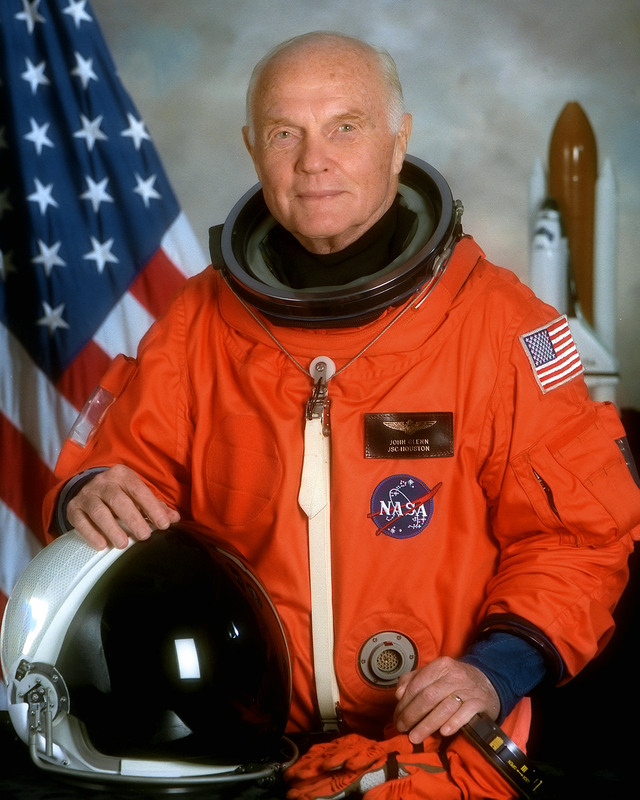 John Glenn was 77 when he went to space on Discovery becoming the oldest person in space. In between flights into space, Glenn became a corporate executive with Royal Crown Cola with an eye on politics. He started with an attempted run at the senate in 1964 but withdrew after a personal accident. He was with Robert F. Kennedy on the campaign trail when Kennedy was assassinated. In 1970 lost the Democratic primary for the senate against Howard Metzenbaum. Glenn finally won the 1974 Democratic primary and was elected Senator from Ohio, a seat he held until retiring in 1999. Along the way, Glenn was considered to be a candidate for vice president and even ran for president in 1984 before dropping out of the primary. 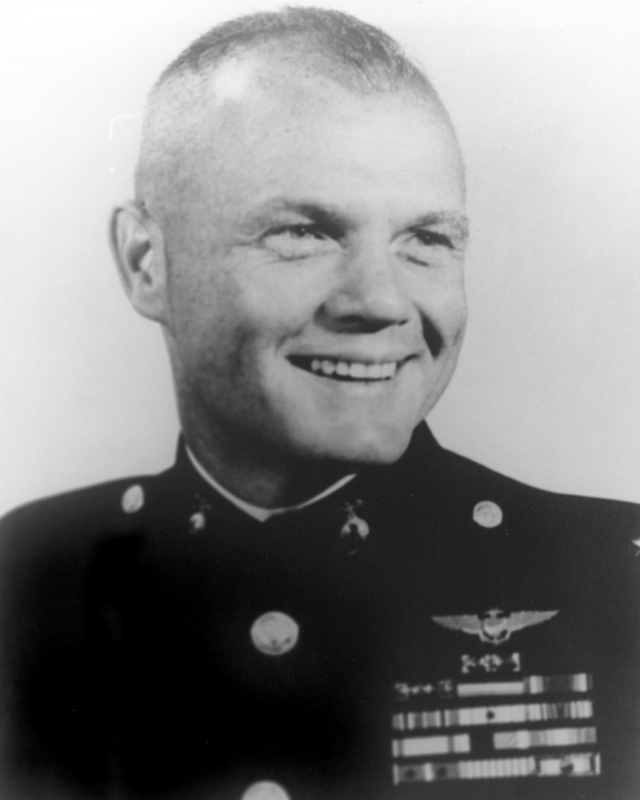 From the day he dropped out of college to join the Army through the end, John Glenn has been nothing less than a hero. He spent most of this life in service to his country with impeccable honor and distinction. Glenn showed how good people can serve for the sake of service without having to get anything more out of the service than the satisfaction that he made life better. 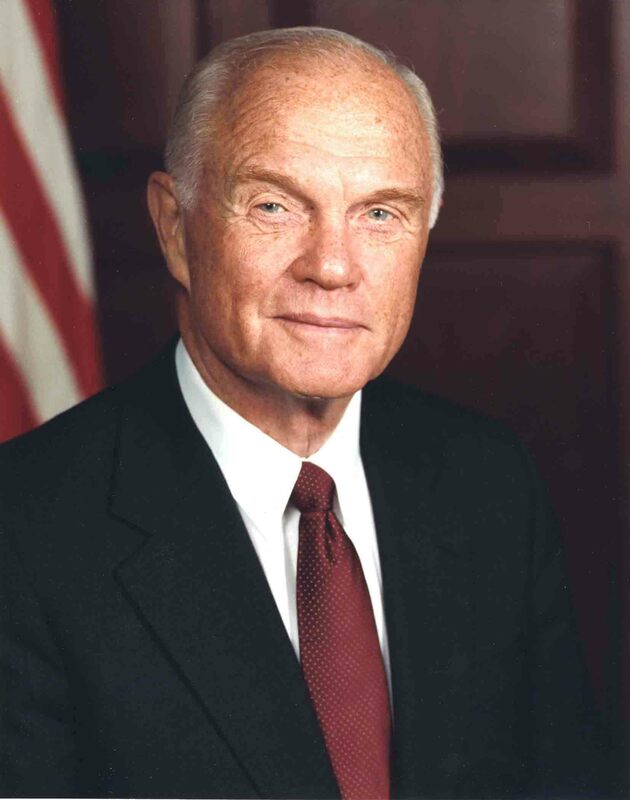 We are better for having had John Herschel Glenn, Jr. amongst us. Image of the New Frontier Bronze Medal courtesy of the U.S. Mint. All other images are from government sources and in the public domain. The election of 1800 was a rematch of the incumbent John Adams, the Federalist, and his Vice President and Democratic-Republican Party nominee, Thomas Jefferson. At the time, the president was elected with the most Electoral College votes and the Vice President was the candidate with the second most votes. There were no rules on how the states selected electoral votes. Some states directly selected electors while others voted for the candidate whose party selected electors. It was 200 years before Florida would become an election issue but for this election, Georgia was the issue when its certificate of election was defective because it was not in the right format. But the President of the Senate, who was the election judge, counted the Georgia votes. The race ended with Jefferson and Democratic-Republican Vice Presidential candidate Aaron Burr in a 73-73 tie. Since there was no clear winner, the fourth presidential election in the nation’s history set up an early test for the new constitution and was sent to the House of Representatives for resolution. In 1801, when the House convened on February 11, the chamber was controlled by the Federalists. As the first partisan election, the Federalists were not happy with the choice causing some not to vote or vote against the candidate they liked the least. In 35 ballots over seven days, the vote was 8 states selecting Jefferson, 6 for Burr, and no result for Maryland and Vermont whose delegations tied. During the votes, Alexander Hamilton, a Federalist, urged his fellow Federalists to support Jefferson. Hamilton thought Jefferson would be a better choice because “by far not so dangerous a man.” Hamilton was not as confident about Burr. Hamilton would later confirm his feeling on July 11, 1804. After a letter writing campaign by Hamilton, the four delegates from Maryland that supported Burr shifted their vote to “no selection” as did the Burr supporters from Vermont, Delaware, and South Carolina. That would give Jefferson the vote from 10 states to become the third president of the United States. If we learn nothing else from history, every vote counts. Go out and vote! Image courtesy of iStock Photo. It only took 108 years! 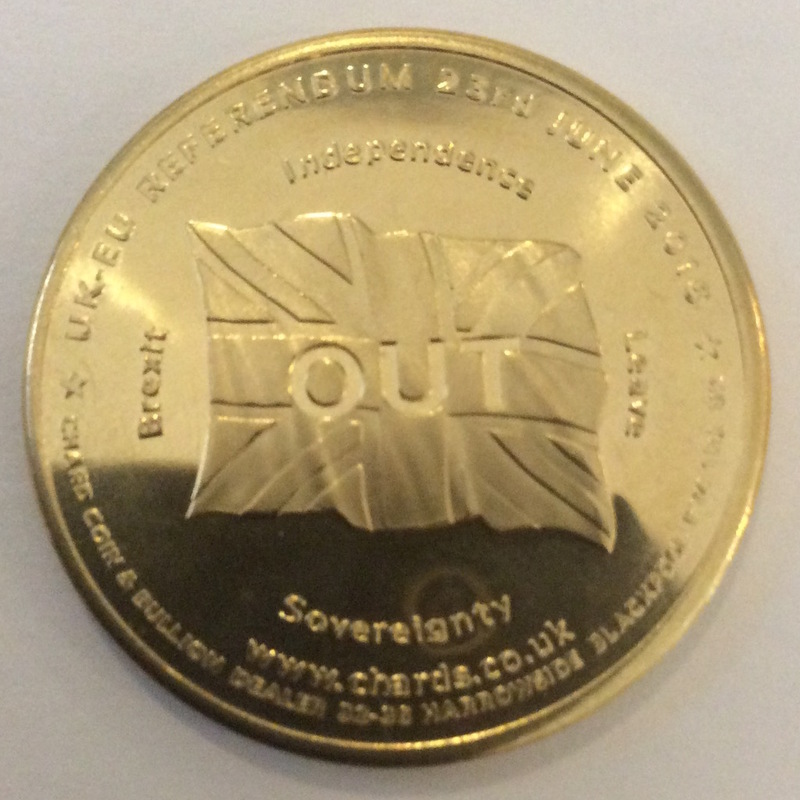 Medal image courtesy of the Highland Mint. Cubs W Banner courtesy of the Chicago Cubs and Major League Baseball. 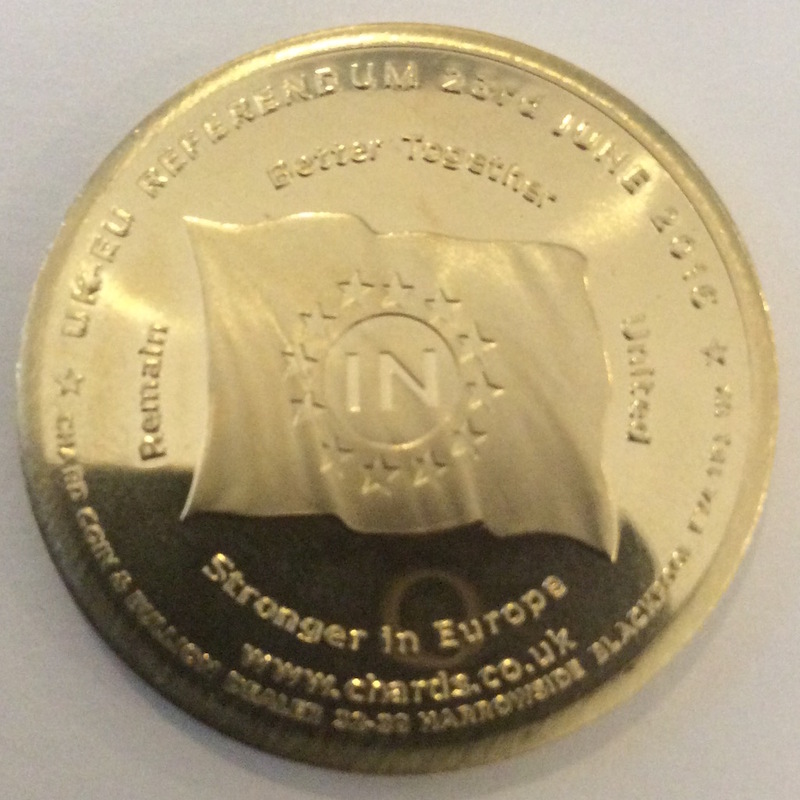 Proof that numismatics can be used to learn more about history through the economics they represent. 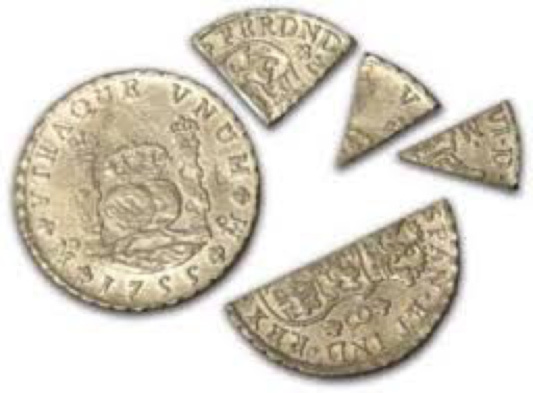 Sometimes more telling than coins are exonumia items which have more descriptive value than coins. Rummaging through a bag of small items recently purchased from an estate sale I found two square tokens. Both are made of aluminum and measured 27mm per side (about 1-inch). Both offer 10-cents off a purchase of personal care products. One will provide a discount on Colgate’s or Palmolive Shave Cream and the other for 10-cents off for the purchase of Colgate’s Ribbon Dental Cream. While these tokens are very interesting, I want to know when they are from? After examining both sides of each token and not finding any indication of a date, it was time to turn to an Internet search engine to figure out when this token could have been made. We start with looking for the company and product information for Colgate-Palmolive-Peet. From this, we found the history of today’s Colgate-Palmolive. The company was founded in 1806 by English immigrant soap and candle maker William Colgate. Colgate began by making candles, soap and starch in a factory on Dutch Street in New York City under the name William Colgate & Company. Colgate was the first company to begin selling individual soap cakes in uniform sizes. Following William Colgate’s death in 1857, his son Samuel Colgate reorganized business as Colgate & Company. Samuel did not want to run his father’s business but felt its continued existence with the right thing to do. Colgate & Company continued to grow. By 1866 the company introduced the first perfumed soap which was then followed by Cashmere Bouquet. It was the first milled perfumed toilet soap, became a registered trademark in 1872. The next year Colgate introduced their first toothpaste that were sold in jars. The product did not sell well until 1896 when Colgate began selling Colgate Ribbon Dental Cream in collapsable tubes. By 1908 Colgate ended production of their jarred toothpaste. In 1898, B.J. Johnson developed a formula for soap made of palm and olive oils. The soap was so popular that the company was renamed “Palmolive” to reflect the name of its most popular product (I bet you didn’t know where the name came from). By the turn of the century, Palmolive was the world’s best selling soap. During this time, the Peet Brothers in Missouri was looking to expand their soap business when the opportunity for them to buy Palmolive from B.J. Johnson. In 1926, the merger of the two companies became Palmolive-Peet Company. Two years later in 1928 the Palmolive-Peet merged with Colgate to form Colgate-Palmolive-Peet. Peet was dropped from the name in 1953 to Colgate-Palmolive Company as it is still known as today. Let’s start with the obvious. Since Colgate-Palmolive-Peet only existed from 1928 through 1953, it would be logical to assume that the token is from that time period. To try to narrow down the time-period further, I searched for similar tokens to see if I could find other evidence. While searching, I found a set of similar tokens issued by the Palmolive-Peet Company. This suggests that the company could have continued issuing similar tokens following the 1928 merger. Trade and tax tokens were popular in the use of trade in the 1920s through the depression. In fact, during the depression, many of these tokens were traded as currency in areas where currency was in short supply. However, many of these tokens stopped being used and circulated in 1942. Since aluminum was part of the scrap metal drives that were used to gather the materials to build war equipment, many of these tokens were turned in to merchants who returned them to the companies for cash. Many were later scrapped. Without having further information the best I can do is narrow the period it was issued from 1928 through 1941. As part of my search, I found a few listings on eBay that claimed that these tokens were issued in the 1920s. As we have seen that may not be correct. While being issued in 1929 may be possible, it is more likely that these tokens were issued in the early 1930s. Of course if you have more information about these tokens please leave comments below. Kennedy would have been pleased with the events of 47 years ago, today. Michael Collins design the mission insignia. Collins said that he wanted a symbol to represent a “peaceful lunar landing by the United States.” He also left the names of the astronauts off of the insignia so that it would represent everyone who worked on the mission. It is one of the few mission insignias that does not include the name of the astronauts. The first numismatic-related item that used the Apollo 11 mission insignia were the medals made by the Robbins Company of Attleboro, Massachusetts. Although there were many space-flown numismatics that have surfaced over the years, the most famous from Apollo 11 was the sterling silver Robbins Medal that was presented to Wally Schirra by Neil Armstrong. Armstrong and Schirra were good friends. He gave the medal to honor his friend, the first three-time astronaut who retired just before the Apollo 11 flight. This medal was sold for $33,460.00 on April 18, 2013 by Heritage Auctions. In March, before the Apollo 11 launch, President Dwight Eisenhower died of congestive heart failure at the age of 78. To honor the late president, congress passed the bill to produce what ended up to be the last large dollar coin with the portrait of Eisenhower. It was Rep. Bob Casey (D-TX) who remembered that Eisenhower created NASA and proposed that the reverse of the coin use the Apollo 11 mission insignia rather than just a heraldic eagle. The Eisenhower dollar was released in 1971 and struck until 1978. Other than relief and varieties, the only design change was made in honor of the nation’s bicentennial in 1975-76. Beginning in 1976, the U.S. Mint was looking to reduce the costs of coin production and was testing different shapes and compositions for a new dollar coin. 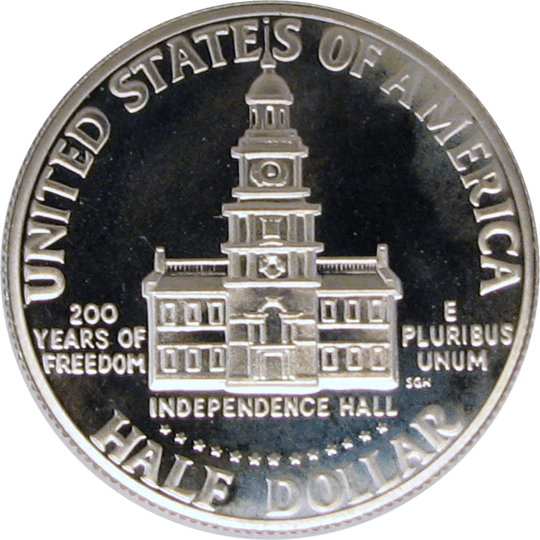 In order to appease the powerful vending machine industry, the result was a coin that was too similar in size and composition to the quarter dollar. Congress made the decision to honor Susan B. Anthony and leave the Apollo 11 mission insignia on the reverse. Chief Engraver Frank Gasparro designed the reverse for both the Eisenhower and SBA dollars using the Apollo 11 mission insignia. 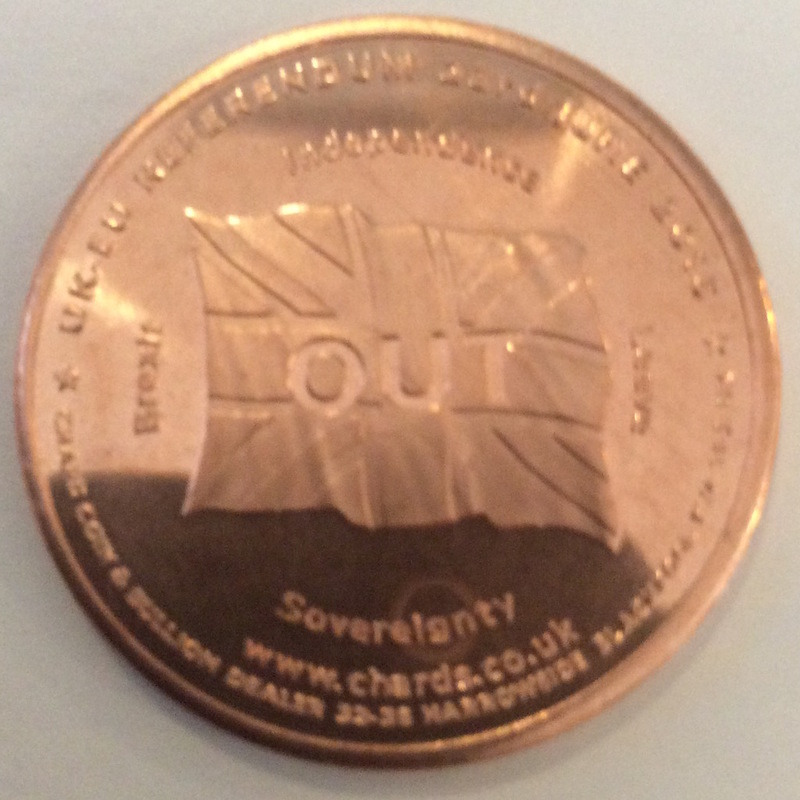 An iconic design even though the coins were less than successful. Apollo mission insignia courtesy of NASA. After nearly a year of war and attempted negotiation with King George III and the British parliament, it became clear that the colonies in the New World would continue to be under harsh rule without representation. In January 1776, the Continental Congress met to discuss the matter. Public support for independence from the British Empire was growing amongst the colonies. Only the “middle colonies” of New York, New Jersey, Delaware, and Maryland who were benefiting financially being part of the British Empire were against independence. When these colonies sent delegations to the Continental Congress, each of their conventions did not allow them to vote for independence. As the war with Great Britain dragged on and the attempt at tightening their reigns on the colonies persisted, the populous cry for independence grew. Delegates were set back to their governments and representatives sent to the middle colonies to convince them that the colonies had to declare independence for their own survival. As colonies began to line up with the independence movement, Pennsylvania, New York, Maryland, and South Carolina remained reticent on the subject. Of the four hold outs, Pennsylvania and Maryland had governments with strong ties to the colonial governors who still had influence. John Adams wrote a draft preamble to explain the independence resolution. Part of the way the resolution was written was, in effect, to overthrow the colonial governments of Pennsylvania and Maryland so that it would be replaced by a popular government. On May 15, 1776, that preamble was passed. The colonies had taken their first step toward independence. Delegates left the congress and returned to their own colonial conventions. Maryland, whose delegates walked out of the congress in protest, continued to reject the notion of independence. Samuel Chase returned to Maryland and convinced them to allow their delegates to approve the motion of independence. Pennsylvania, New York, and South Carolina remained against the declaration while the Delaware delegates were split. On June 11, 1776, the “Committee of Five” was appointed to draft a declaration. Committee members were John Adams of Massachusetts, Benjamin Franklin of Pennsylvania, Thomas Jefferson of Virginia, Robert R. Livingston of New York, and Roger Sherman of Connecticut. Although no minutes were kept from the committee meetings, it was accepted that the resulting document was largely Jefferson’s work. The Committee of Five completed the draft on June 28, 1776. Debate on the draft declaration began on July 1. After a long day of speeches a vote was taken. Maryland voted yes but Pennsylvania and South Carolina voted no. The New York delegation abstained with out authority from their government to vote. Delaware could not vote because its delegate was split on the question. Edward Rutledge of South Carolina moved to postpone the vote until the next day. Although there is no written history on what happened that evening, there had to have been lobbying by supporters of independence because on July 2, South Carolina voted yes followed by a turnaround by the Pennsylvania delegation that also voted yes. New York with no authority from their government continued to abstain. With the Delaware delegation deadlocked, this set up the historical ride of Caesar Rodney. Rodney was one of Delaware’s representative to the Continental Congress. He was in Dover attending to other business when he learned that Thomas McKean and George Read were deadlocked on the vote of independence. Rodney rode 80 miles from Dover to Philadelphia to vote with McKean to allow Delaware join eleven other colonies voting in favor of independence. With 12 votes for independence and one abstention, the Continental Congress approved the declaration. Jefferson then set forth to make the agreed upon corrections to the document. On July 4, 1776, the Continental Congress approved the wording of the Declaration of Independence. The document was sent to the printer for publication and distribution to the public. Although historians debate exactly when the final document was signed, it is accepted that the final signatures were added on August 2, 1776. Since New York approved the resolution of independence on July 10, the New York delegation is included amongst the signatures. As we celebrate the 240th Birthday of the United States of America, please take a moment to remember those who fought for our freedom and continue to do so today. Honoring them is the best way to honor those whose vision created this great nation. “Declaration of Independence” by John Trumbull hangs in the U.S. Capitol Rotunda and was used as the model for the reverse of the $2 Federal Reserve Note. Image courtesy of Wikipedia. Bicentennial half-dollar reverse and Franklin half-dollar images courtesy of the author. All other images courtesy of Wikipedia.